African governing body CAF on Tuesday issued a stern warning against any infringement on the broadcasting rights of Qatari-owned network beIN Sports. beIN Sports holds the exclusive rights to broadcast CAF competitions, including its flagship African Champions League as well as the Nations Cup, in the North Africa and Middle East regions. However, beoutQ, a little-known television network, used the platforms of beIN to broadcast all African competitions last season, drawing an angry rebuke from the Qatari network which last year demanded that Saudi authorities shut down what it called "the pirate channel". 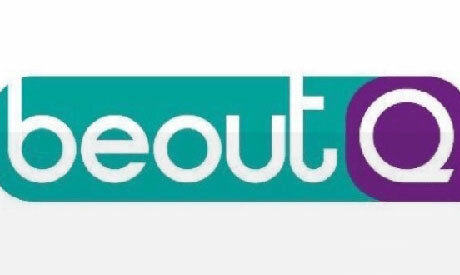 beoutQ, which is widely viewed in Saudi Arabia, denied any links to the kingdom, saying it is a Colombian-Cuban network bent on fighting monopoly in football television rights. "No one other that CAF is legally authorized or empowered, without the prior written authorization of CAF to use and/or exploit any media rights related to its competitions, regardless of the methods of broadcast transmission (satellite, terrestrial, IP…)," the African governing body said in a statement on its official website. "Recently, an entity called “beoutQ” has put in place a major piracy operation against beIN Media Group. In this regard, CAF strongly condemns the practice of the audiovisual piracy of sport events, a real scourge for our industry. "CAF is determined to take all necessary against “beoutQ” if any of CAF matches is pirated." beIN Media Group said last week it was unable to reach a deal with Saudi Arabia to show World Cup games, nine days before the kingdom plays Russia in the tournament's opening match. In a statement, beIN also said world football's governing body, FIFA, had assisted in contract negotiations as the Saudis would not deal directly with Qatari officials due to a deepening one-year diplomatic dispute. According to AFP, a source with knowledge of the negotiations said FIFA was involved because Saudi Arabia refused to deal directly with beIN.